Listening to music can be a favorite hobby for many and for some a passion. Music has the capacity to soothe you when you are unhappy or unwell, it helps in healing! 1. Music therapy is being increasingly used in many hospitals to reduce the need for medication during childbirth and to help in easy labor. 2. It may help decrease postoperative pain by releasing endorphins to counteract the pain and complement the use of anesthesia during surgery. 3. Slow music relaxes people by stabilizing their breathing and heartbeat. 4. According to research surveyed at the American Society of Hypertension, listening to just 30 minutes of classical music every day may significantly reduce the high blood pressure. 5. It can also be used to bring a more positive state of mind, helping to keep depression and anxiety at bay. 6. 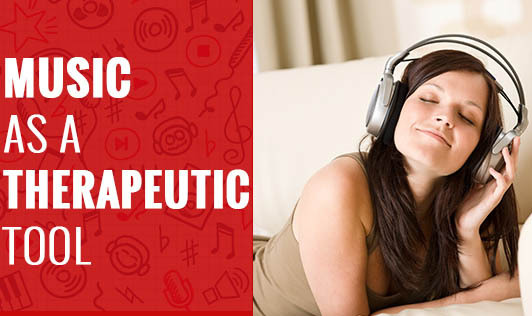 Music can boost the immune function. Listening to music or singing can also decrease levels of stress-related hormone cortisol. Higher levels of cortisol can lead to a decreased immune response. 7. Music can help migraine and chronic headache sufferers reduce the intensity, frequency, and duration of the headaches. With all these benefits that music can carry, it's no surprise that music therapy is growing in popularity in the field of health care. Share with us how music therapy has helped you!